I am a big fan of Riesling wine in so many styles. Certainly it is right there at the top level for best most versatile grape variety resulting in a full range of wines from bone dry to very sweet. Trocken (dry) style is in vogue at the moment whether from Australia’s Eden or Clare Valley (lime & minerals), Alsace, Austria and Germany. Even the cooler regions of New York (Finger Lakes), Ontario, Oregon, Washington and BC are successfully producing world class examples. Not only is Riesling in all the versions always so lovely fresh vibrant drinking but because of their natural acidity also so suitable with food. Are the increased use of screw caps helping to keep them fresh? They certainly will age very well developing a unique distinctive “petrol” (or “kerosene”) character but descriptors which now to some tasters have become derogatory words to use and instead prefer “lime marmalade”. Hard to match that enticing fantastic fruit acidity shown from the Mosel terroir! A wonderful website is www.moselfinewines.com. It is an independent online wine publication dedicated to Mosel Riesling by Jean Fisch & David Rayer. They do an excellent job covering the vintages (detailed 2012 reports), top estate property profiles, wine reviews and drinking windows. They cover the winemaker association top casks two Mosel Auctions held every September by Bernkastler Ringer & Grosser Ring/VDP. They just produced what hopefully will be an annual update of their first Visiting Guide to the Mosel 2014. 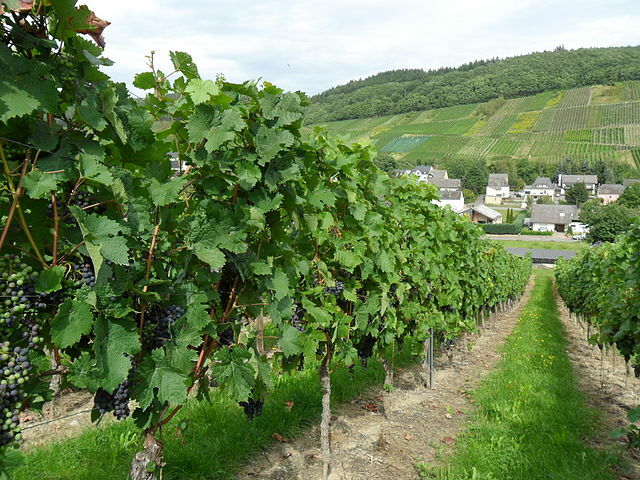 Personal valuable resource of where to eat, buy wines, and must visit scenic charming spots (including my favs of Bernkastler Doktor & Wehlener Sonnenuhr). The good news is that it is free of charge so subscribe now at newsletter@moselfinewines.com. Do you have a preferred region for Riesling? What sweetness level do you prefer for that variety? What's your favorite Riesling wine region?